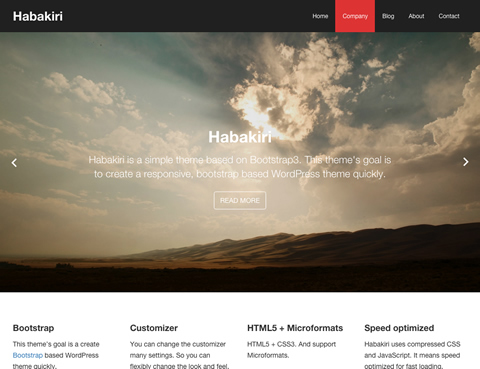 Habakiri is the single WordPress theme based on Bootstrap 3. 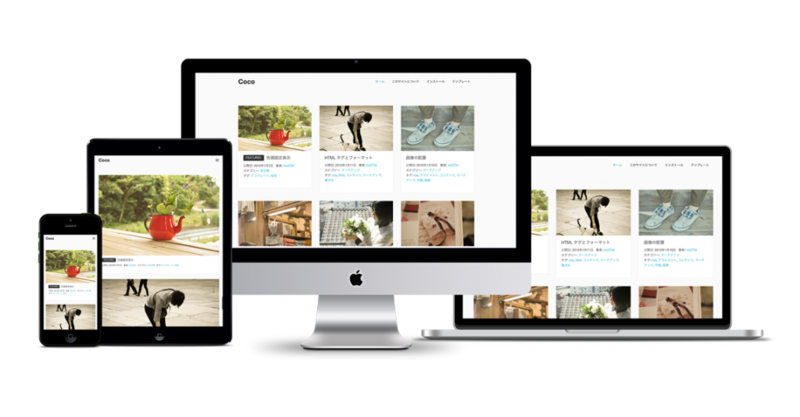 Responsive design, more customizable. 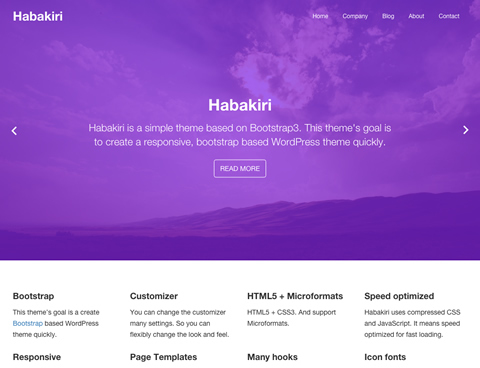 Habakiri has a lot of useful features for creating the WordPress theme. We introduce some of them. 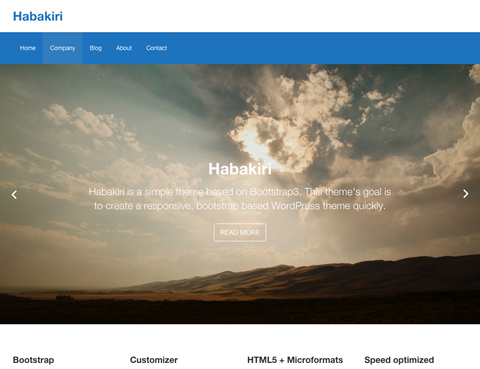 habakiri has been developed to use the Bootstrap. Habakiri is responsive design using the grid system of Bootstrap. 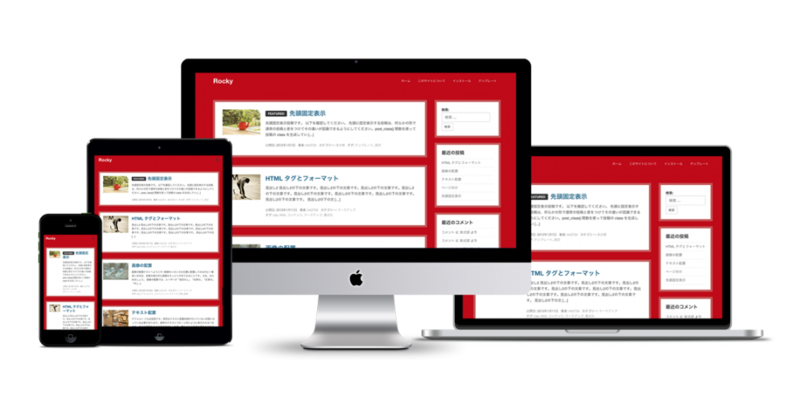 HTML5 + CSS3, also supports Microformats that is one of structured data markup. Many of customization they can be done in the customizer. 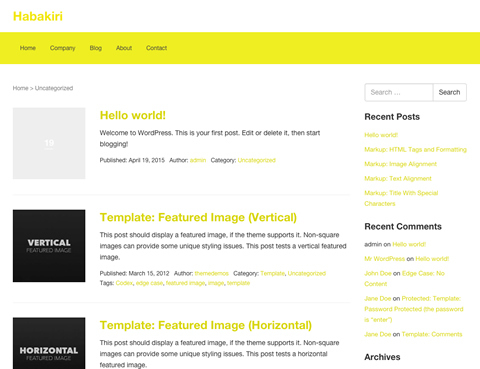 Various color settings, change of layout. Template for page are available seven. 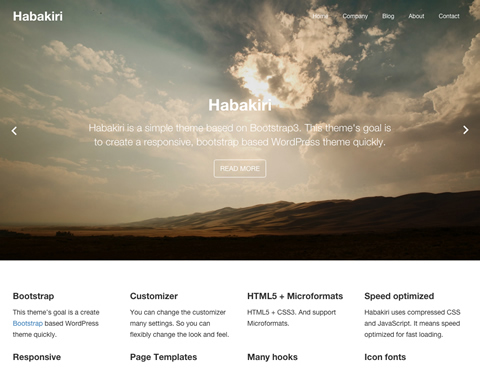 Habakiri has a lot of action hooks and filter hooks to be able to easily customize the child theme. Genericons, Glyphicons and Font Awesome, 3 icon fonts can be used. 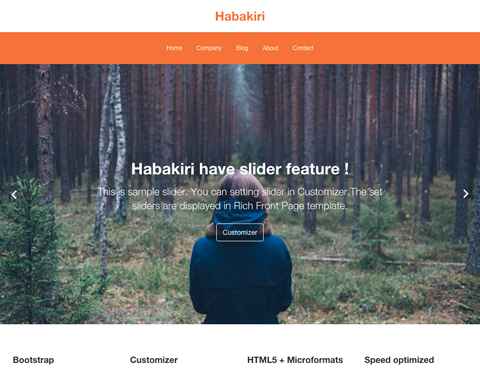 Habakiri can realize variety of design in only customizer. The following is a few examples. 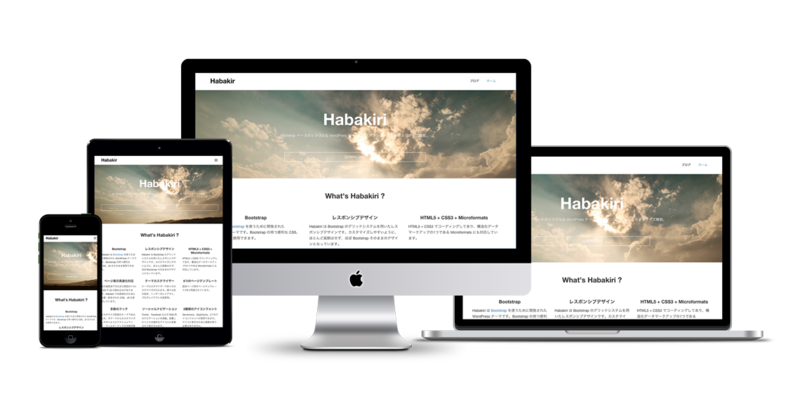 We distribute and sell the add-ons to easily extend the Habakiri. License is GPL2 or later. 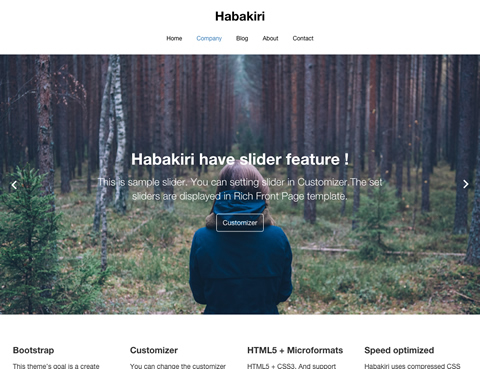 Design skins that you can easily change the design also has developed as a plugin. Add-on to install the share buttons. Work light. Cute shade design skin. For blog. 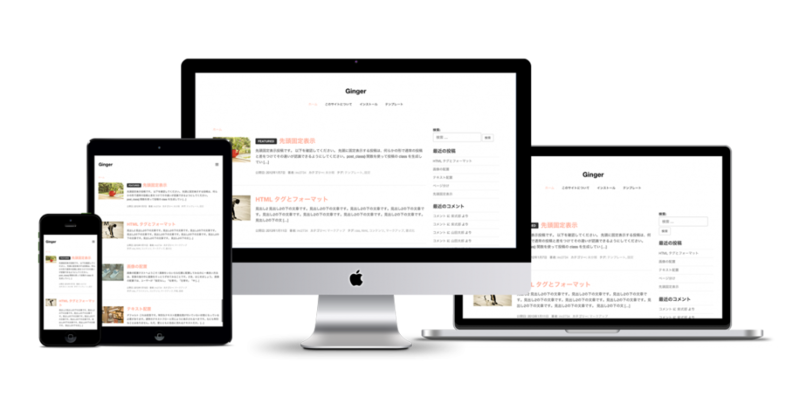 Design skin of powerful image. For blog. Freshing image design skin. For photo blog. 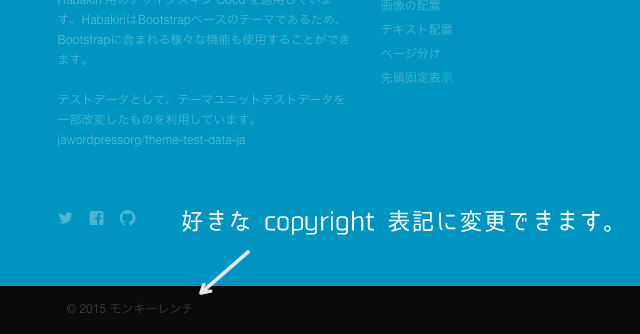 The add-on that allows you to set the copyright from the admin page.